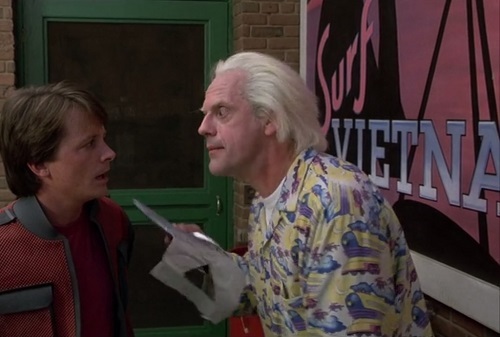 In Back to the Future Part II, when Doc Brown discovered that Marty McFly was going to take lucrative information about the future back to the past (in the form of a Sports Almanac), he was furious. He didn’t want anyone to use the time machine for financial gain. 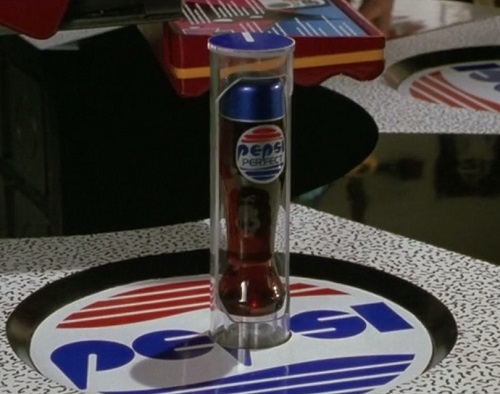 But he didn’t realize that just by walking around the 2015 version of Hill Valley Marty had already soaked up so much valuable information that he could make a fortune by remembering what he saw and heard. No Almanac required. Here are five ways Marty could still get fabulously wealthy from his experience in 2015, even after Doc threw his Almanac in the trash. 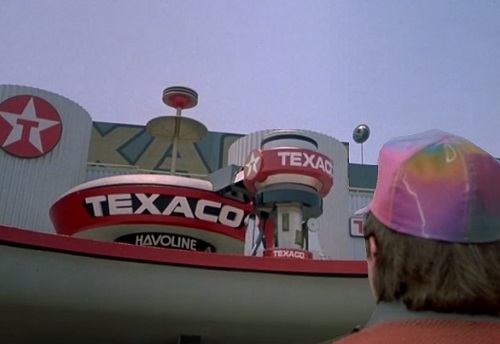 Marty would be wise to avoid investing in oil refineries and instead sink his money into havoline and nuclear fusion, the replacements for gasoline and oil. He clearly sees signs advertising Mr. Fusion and havoline during his brief visit to 2015, so he just needs to keep a lookout over the years for their major breakthroughs so he can jump on board at the start. It certainly beats BiffCo. 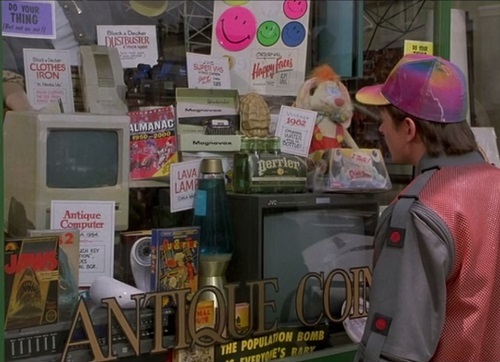 Marty should definitely avoid buying Laserdiscs or going to law school to become a lawyer since he quickly discovers that Laserdiscs are being discarded in huge heaps and lawyers have been abolished in the future. But taxicabs are still being used. Basically, he knows exactly what to avoid and what to pursue, and he can use all of that information to his advantage. 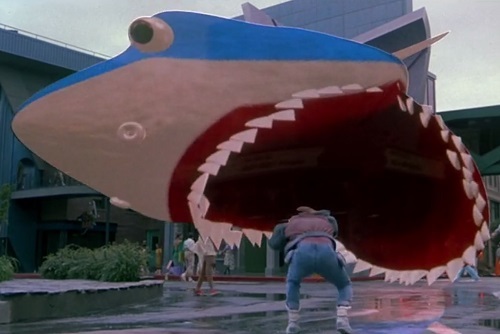 This entry was posted in Random Stuff and tagged 1980s, back to the future, comedy, films, fun, future, money, movie review, movies, nostalgia, science fiction, sequels, technology, time travel, vietnam, wealth. Bookmark the permalink. Very insightful, Robert. All amazingly accurate details from the film! Great post again!